As well as bringing readers the latest information on smartphones and tablets we also enjoy giving details of some of the many useful accessories around. The accessory we’re taking a look at today is not only useful but is actually a pretty neat idea, meet the Andru Android Robot USB Phone Travel Charger. 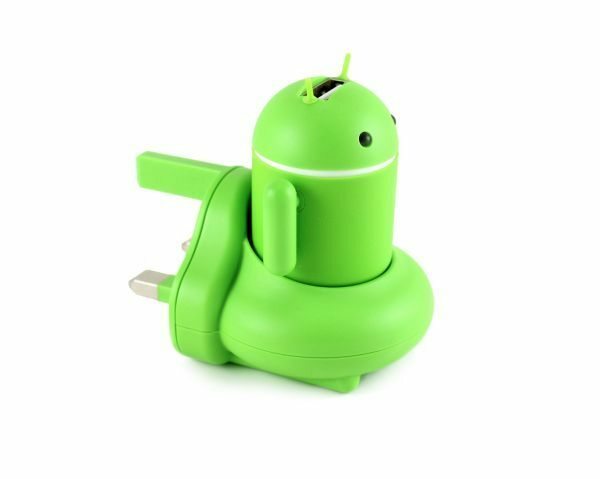 This adapter features the familiar green Android robot sitting in something resembling a space pod as though it’s about to fly away, with the thrusters acting as the plug. As well as being cool it’s actually quite endearing, and we think it will appeal to many Android device enthusiasts. The Andru USB phone charger has a soft touch exterior, flexible antennae and movable arms, and also features a click-on stand so that he can stand on your desk while he’s waiting for action. The Andru charging accessory is made by Gen and comes in either a UK or EU format, and another special touch is that the robots’ usually white eyes light up blue when charging is in progress. 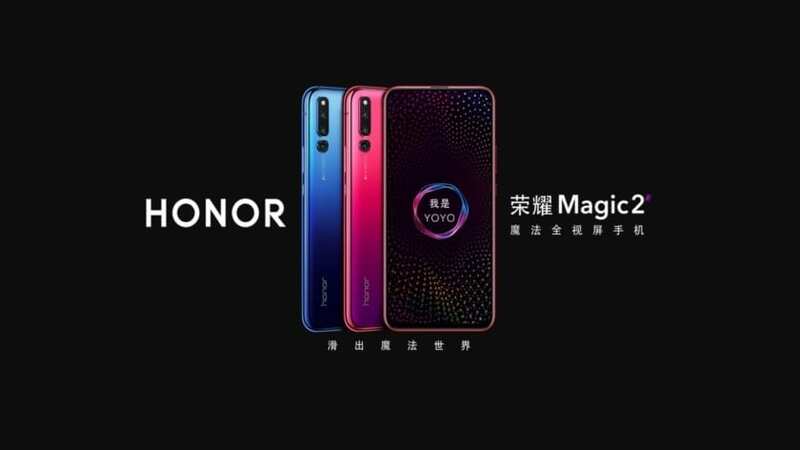 It has a standard USB port with a 1.2m data capable containing a micro-USB connector. This can be used to charge Android phones or other devices that have a micro-USB port such as Bluetooth headsets or digital cameras. 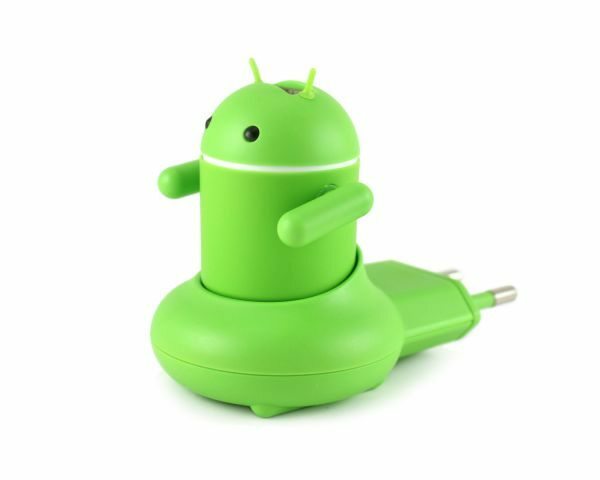 The Andru Android Robot USB Phone Travel Charger for the UK (LGR-001 UK) is priced at Â£20.99 and is available at this product page. The EU version (LGR-001 EU) is the same price and available at this product page. As you can see from the images we’re showing here this is a novel idea, and it would also make a great gift. 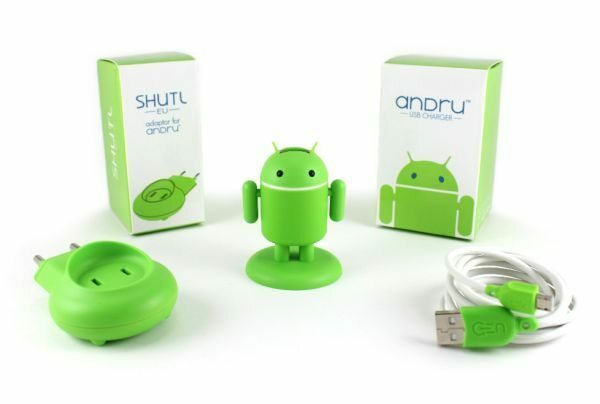 We’d love to hear your thoughts on the Andru Android Robot phone travel charger so feel free to send us your comments. 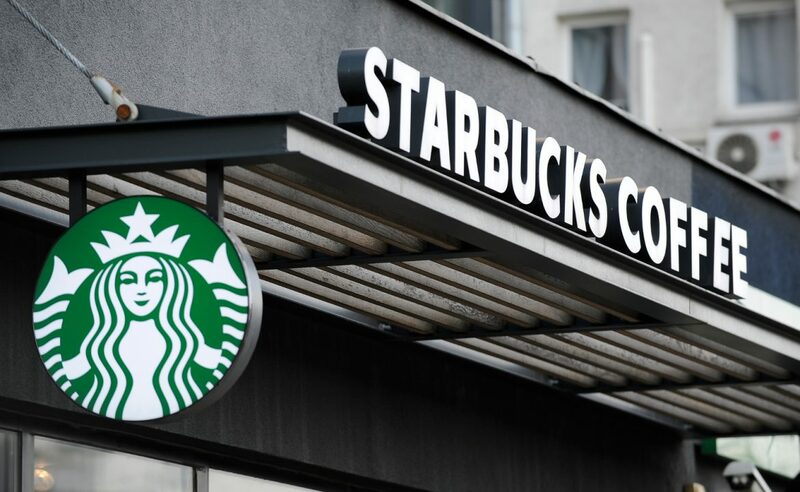 Will you be ordering this useful accessory? 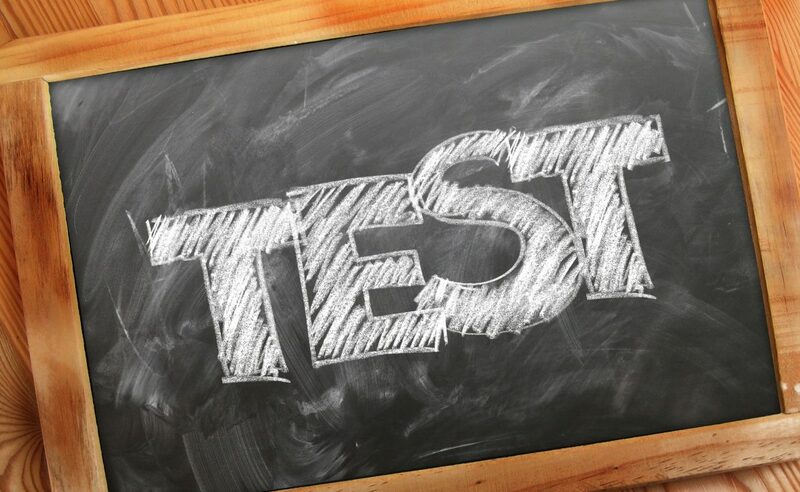 If so it would be good to hear what you think of it when you’ve had a chance to use it?